Locally sourced, internationally renowned. 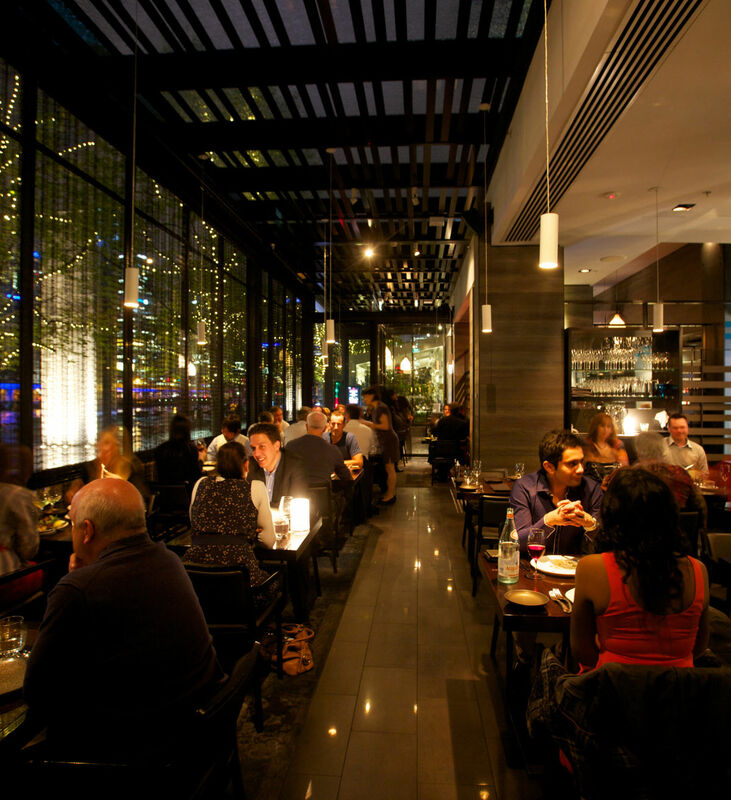 The Atlantic Restaurant opened in 2011 and today epitomizes Melbourne's simple yet exquisite food culture. A popular destination for private and group dining experiences, the waterfront restaurant boasts stunning views of the city skyline, unique architecture and the finest produce available from the land and sea. Cuisine Executive Chef Donovan Cooke crafts new menus daily, based on the freshest seafood available in the markets that morning. Inspired by wild and sustainable produce, The Atlantic Restaurant's à la carte dining and degustation menus, offer a celebration of the amazing flavours that are created by highlighting quality local Melbourne ingredients. So whether you a looking to be a part of the kitchen theatre or looking for privacy against the backdrop of our finest wines, The Atlantic can accommodate you for an unforgettable dining experience. The Den Basement Cocktail Bar Located in the basement of The Atlantic Restaurant on the Riverside, The Den offers a charming vibe reminiscent of the Golden Era and New York bar culture. Filled with bookcases, heirlooms, gas-flamed heaters enclosed in glass, velvet sofas, vintage Persian rugs, cottage chairs and a grand piano, it boasts an intimate and nocturnal ambience, that is perfect for a quite drink or private event. Private Events Best be described as an intimately lit, subterranean playground that captures the best of Melbourne & New York nightlife for your next event, The Den provides flexible package options, from 30 to 120 guests cocktail style. With flexible package options, the space can be hired in full to accommodate 120 guests cocktail style or alternatively The Captain’s Lair – nestled at the back of the venue - offers an intimate private area for 40 guests which features its own sound system. The Den is licensed until 3am and a light function menu is also available, prepared by The Atlantic's Executive Chef Donovan Cooke.